A few weeks ago, to kick off the 50th anniversary of the Taste section, we sifted through our archives and explored the history of wild rice soup. It’s probably Taste’s most-published recipe, with more than 60 iterations appearing over the years. (That's our version of the recipe, above, in a photo by Dennis Becker and Lisa Golden Schroeder). The story generated a phone call – and a ton of memories – from Keith Kersten. 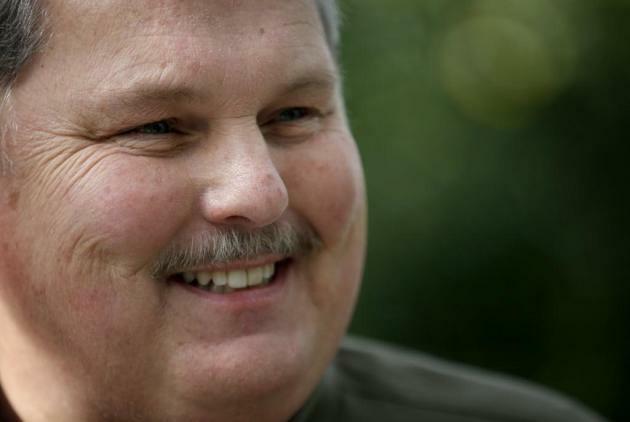 He’s now the CEO of Bushel Boy Farms in Owatonna, Minn. In the mid-1970s, he was a recent graduate of the Culinary Institute of America, finishing his studies at the University of Minnesota and working for chef Willy Mueller and general manager Niels Tiedt at the Orion Room, the swanky restaurant at the top of the IDS Tower in downtown Minneapolis. That’s where the recipe originated, and where this chapter of the story begins. Yes, the recipe for wild rice soup was created out of economic necessity. Word obviously got around, because on Aug 28, 1974, a Minneapolis Star reader wrote into the Taste section’s Restaurant Requests column, asking for the recipe. Tiedt politely declined. But Kersten said that there was more to it than that. Turns out, she didn’t, at least not then. Shortly thereafter, Kersten went to work for Northwest Airlines, and relocated to Montana. Fast-forward to Dec. 17, 1975. Another Taste reader wrote into Restaurant Requests, inquiring about the recipe. This time, the restaurant obliged (find the recipe at the end of this story). There’s just one hitch. Four years passed. Kersten was back in Minneapolis on a family visit, and on a walk with his young daughter, he ran into supermarket owner Don Byerly. 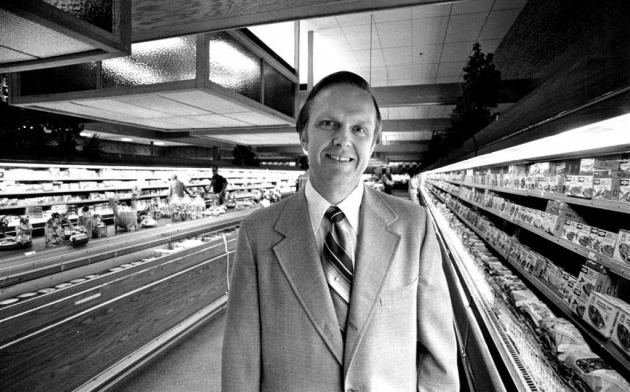 Byerly wanted to build a central kitchen to supply his growing chain of supermarkets with freshly prepared foods, and he hired Kersten to make the project a reality. Guess who was a fan of that Orion Room wild rice soup? 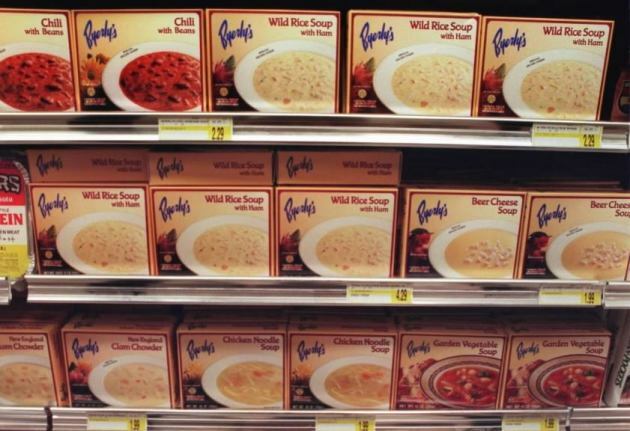 Frozen heat-and-serve wild rice soup was about to become a mainstream favorite, thanks to the reach and influence of Byerly’s, which by 1980 was operating five busy locations, including its influential, much-copied mega supermarket in St. Louis Park. Byerly – he sold majority ownership of his company in 1990 and it was acquired by Lunds seven years later -- is retired and living in California. He isn’t sure of the exact date when the decision was made to get into the frozen wild-rice soup business, although he recalls that the phenomenon started as a menu item at the stores’ restaurants. It sure did. A 1985 Taste story notes that the supermarket chain was posting annual sales of 40,000 gallons of wild rice soup. 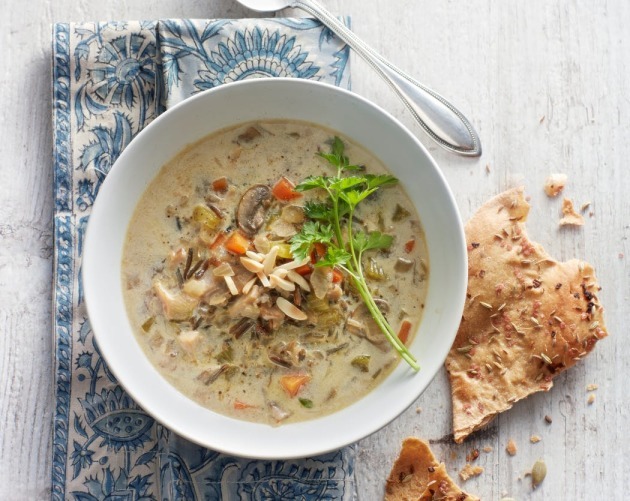 Byerly recalls that, at one time, Kersten was supplying frozen wild rice soup to supermarket chains in 11 states, making it one of Minnesota’s most endearing and enduring food exports. (That's the soup, pictured, above, in an early 1990s Star Tribune file photo). The company eventually built a larger production facility in Lake Mills, Iowa. “It’s still going strong today, and it was really built around that wild rice soup,” said Kersten. Byerly’s also spread the wild rice soup gospel by sharing the recipe with its customers (“The recipe is sent all over the United States – with a bag of Minnesota-grown wild rice – to loving friends and relatives from Byerly’s customers,” said Gwen Bacheller, home economist at Byerly’s Ridgedale, in a 1985 Taste story). There was one slight hitch: the public wasn’t getting Kersten’s formula. He was still keeping that secret ingredient a secret. Byerly’s wild rice soup recipe first appeared in Taste on Dec. 31, 1980; since then, variations have been published more than a half-dozen times (find the current iteration here). Decades later, Kersten is no longer preparing wild rice soup. “Why should I, when the Lunds & Byerlys version is so phenomenal?” he said, adding that he has an alternative. “I coat chicken breasts with seasoned flour, saute them in butter, then throw in some mushrooms and brandy. Then I add three or four packages of Lunds & Byerlys wild rice soup, and bake it for two hours. 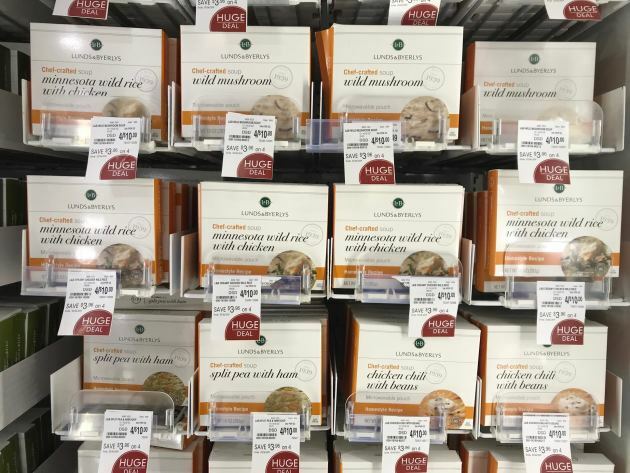 It’s the most amazing thing you’ve ever had.” (That's Lunds & Byerlys frozen soups, pictured above). By the way, that secret ingredient that Kersten refused to reveal, back in his Orion Room days? It’s staying that way. “I'm not going to say what it is," he said. "It belongs to Lunds & Byerlys. It’s their business." 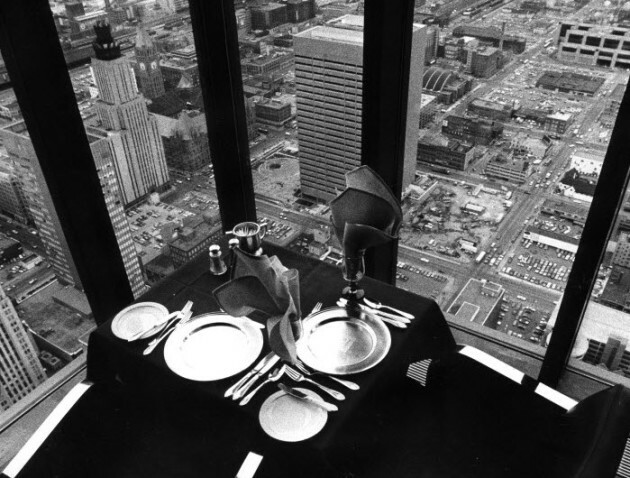 Note: Published in Taste on Dec. 17, 1975 (that's the Orion Room, above, in a 1974 Star Tribune file photo). Maggi seasoning is a flavor enhancer and is available at many supermarkets. Place stock ingredients in a large kettle and cook slowly for 1 1/2 hours. In a separate soup pot, melt butter and saute onion, celery and carrot. Add wild rice. Fill pot with strained stock and cook on moderate heat 60 to 75 minutes. If necessary, thicken with cornstarch. Add cream just before serving.